Dental issues should never be taken lightly and should always be treated as soon as possible. That is why Emergency Dentists USA is here to help you. We’ve compiled a list of the best dentists in the Sunnyvale, California are to help you during your dental emergency. Many dentists don’t work over the weekend, but our list of emergency dental clinics, after hours dentists, and walk in dental clinics are here to get you fixed up and ready even during a weekend or late night. Our emergency hotline has operators there to help you 24 hours a day to find the best Sunnyvale emergency dentist and get you back to enjoying your stay in this great city. Finding an emergency dentist in the Sunnydale area does not need to take all day. There are many quality dentists to choose from that can fix your emergency dental needs in the blink of an eye. There are after hour clinics that have a dentist working late to best fit your emergency needs even later in the day than you’d typically expect. There are also walk-in clinics where you can just stop in with no need for an appointment. Walk in clinics do not require appointments and they work to fit you in any time of the day. Gentle Dental provides you with hours Monday through Friday until 5 pm, and Tuesday, they stay open later until 7 pm. After hour dentists are dentists that have hours after the standard 9 to 5 operating hours. Sunnyvale has many to choose from to provide you fast and good dental care. Sunnyvale Dental Aesthetics is a family-friendly office that offers appointments Monday through Friday from 8 am until 6 pm. Sunnyvale Dental Care is an after hour clinic with hours as late as 7 pm on Monday, Wednesday, and Thursday. They stay open until 6 pm on Tuesday and 5 pm on Friday. AZ Dental works hard to provide you the best after hour care possible, staying open until 7 pm Monday through Thursday. The office also has appointments available until 5 pm on Friday and Saturday. Emergency Dentists USA has a 24-hour emergency helpline designed to connect you with a friendly operator who can help you find just the right Sunnyvale emergency dentist to meet your needs during your dental emergency. Emergency Dentists USA has compiled a listing of quality emergency dentists in the Sunnyvale area that are available when you need them. The list includes dentists with after hour services and walk in options. The listings are accurate and make it easy for you to get the right dental care you require when you need it. Description When traveling through the Sunnyvale, there are many ways in which a dental emergency could quickly present itself. If you’re having a dental emergency it’s important to get help fast. Call our hotline and we’ll help you find a dentist near you fast! Gentle Dental is an easy-to-work-with dentist that offers easy scheduling and walk-in options. Their office is designed to keep patients comfort at the forefront. They work to address any concerns you might have prior to your treatment and pride themselves on answering all your questions in an easy manner. They accept many insurances and offer “The Plan” to help reduce costs if you have no insurance. Sunnyvale Dental Aesthetics are a highly trained team of clinicians. They pride themselves on helping you make the most informed decisions about your oral health needs while giving you the smile you have always wanted. They are strong in their beliefs that continuing education is important, and they stay informed on new techniques, new equipment, and all the latest products. Their office has a multilingual team should you speak a language other than English and require care during your dental emergency. Sunnyvale Dental Care wants you to smile and know that you are in good hands at their office. The office has a friendly and relaxed atmosphere designed to make you comfortable and at ease. They strive to keep you informed and understanding all of your treatment options. Their office works to provide you the highest standard of personalized dental care in the most gentle way possible. AZ Dental in Sunnydale makes your smile their number one priority. Their office has been open in Sunnyvale since 2015 and they are pleased to offer you everything from general dentistry to oral surgery in their office. Their office is also multilingual should you speak a language other than English. Their office is committed to affordable pricing and they accept any PPO insurance plan along with other payment options. – An emergency dental clinic visit is very similar to a visit to your regular dental clinic. They are there to provide all the same quality services with after hour and walk in options available. – It is best to have all of your dental health records available to you for your dental visit with your emergency dentist. – Arriving at least 15 minutes early to your appointment with your Sunnyvale emergency dentist gives you the time necessary to fill out any required paperwork and to ask any questions that you might have. – Talk with the dental staff to find out if the dentist accepts your form of payment whether that payment be cash, credit, or insurance. – Let the dentist know what type of insurance you have and find out if they accept it before you arrive at your appointment. – Please let the dentist know if you have any allergies to any medication when you arrive at your appointment. Bring with you a list of allergies you have, medication, and supplements that you take. – Do not let the stress of visiting the dentist deter you from making an appointment. Let the staff know if you have anxiety and there are steps they can take to make you more comfortable. Sunnyvale is known as “The Heart of Silicon Valley” as it is the headquarters for companies like Juniper Networks, Advanced Micro Devices, Fortinet, Yahoo!, Ariba, NetApp, and AppliedMicro. Sunnyvale is the seventh most populous city in the San Francisco Bay area. 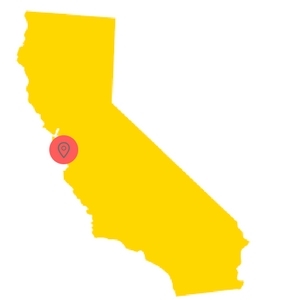 Sunnyvale enjoys a Mediterranean climate with warm dry summers and mild winters. There are 476 acres of parks located in the Sunnyvale area for you to enjoy. There are also beautiful gardens and other gorgeous locations that are must-visit areas. Sunnyvale is home to many great emergency dentists too, making it a great place to be visiting should you have a dental emergency. During your stay in Sunnyvale, a dental emergency is the last thing you want to be worrying about dealing with. The stress of finding a dentist should not make you want to cut your visit short. Emergency Dentists USA is here to help you cut that stress. We have created a list of emergency dentists available to you in Sunnyvale. Should you not be able to get into one of the dental clinics while in the city, you can visit one of the hospitals with your dental emergency regardless of the time of day. There are a number of quality emergency room hospitals around Sunnyvale. 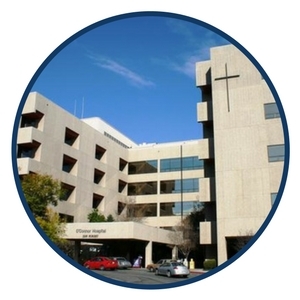 El Camino Hospital, O’Connor Hospital, and Santa Clara Valley Medical Center all offer 24 hour emergency care to any should they have an emergency. The hospitals are open 24 hours a day, 7 days a week and are staffed with emergency physicians that are available to treat injuries in a timely manner and get you back on the road and enjoying your day. If you are unable to locate an emergency room, a call to 911 is the best option. Dental emergencies can strike any time of the day and can make your trip to Sunnyvale a painful experience. There are a variety of common 24-hour dental emergencies that should be treated as soon as they possibly can to prevent further injury. A few of the most common 24-hour dental emergencies include things such as lost fillings, lost crowns, chipped tooth, knocked out tooth, loose braces, damaged gums or tongue, or even something caught between the teeth. All of these dental emergencies need to be treated quickly and efficiently, especially things such as dental emergencies like an abscess or a painful toothache. Do not wait and hope that the dental issue will resolve itself. Doing that can make the situation become worse, making you have to have more care than you would have required had it been treated promptly. 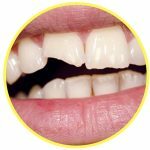 A chipped or broken tooth requires prompt treatment and is a scary thing to deal with at anytime, but especially during a stay in a new city. Should you chip a tooth, save any pieces that you can find. Rinse your mouth with warm water, and if there is any bleeding, apply a piece of gauze to the area to stop any bleeding. A cold compress can be applied to the outside of the affected area to help with any pain or swelling. Contact your Sunnyvale emergency dentist as soon as possible. A knocked out tooth is frightening and must be dealt with quickly. Retrieve the tooth and rinse it holding it by the crown. Do not scrub off any tissue, just gently rinse. Try to place the tooth back into place being certain that it is facing in the right direction. Do not force it, though. If you can not get the tooth back in place, store it in a small container with milk or a cell growth medium. Contact your Sunnyvale emergency dentist right away, as a tooth returned to its place within one hour of being knocked out has the best chance of being saved. An object caught in your teeth is a bothersome time. The first thing you can try is to dislodge the item using a piece of dental floss. Carefully try to get around the object and remove it. If you can not remove it with dental floss, do not try to use any sharp object as this could cause damage to your tooth surface or cut your gum. Contact your dentist and make an appointment. Tooth trauma caused by an accident might mean a trip to the hospital emergency room. If you have tooth trauma that is caused by a car accident, sports injury, or even a fall and you might have an injury anywhere else, you need to make a trip to your nearest hospital emergency room to check for issues. An emergency room physician can check for broken bones and other damage to make sure you have nothing that will complicate your recovery. They can not treat your dental issues, but it is important to have them evaluate your condition prior to going to your dentist to have your tooth fixed. Your Sunnyvale emergency dentist can take over from there. A dentist does not like to have to remove a tooth, but on occasion, an emergency tooth extraction can not be avoided. If your tooth is too badly broken or infected, the tooth might need to be extracted. The dentist will evaluate your situation by examining you and taking an x-ray. If an extraction is required, they will numb the area using local anesthetic. 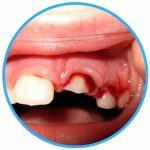 Once the area is numb, they will remove the tooth and place a piece of gauze over the area to control bleeding and help a blood clot form. A blood clot aids in healing and should be left alone to help you heal. The gauze needs to be left on for at least 30 minutes with pressure being applied. For the next 24 hours, do not smoke, drink alcohol, or use products containing alcohol, drink from a straw, or do vigorous activity. Take any prescribed medication as directed. For the first couple of days, a diet of soft food is a good idea. Do not try to eat while your mouth is still numb as you could bite a hole through your tongue or cheek. You can apply a cold compress to the outside of the area to help with managing pain and swelling. If your pain increases instead of decreases over after the first day, or you have bleeding, fever, or vomiting, contact your Sunnyvale emergency dentist for treatment. A Sunnyvale emergency dentist is your best option when it comes to handling any dental emergency that arises. They have the education necessary to help you in the best manner should you have a toothache, broken tooth, lost crown, or abscess. They can quickly fix these problems for you. Should your dental emergency be from a car accident, fall, or a sports injury, you should first seek treatment in a hospital emergency room. They are there to make sure you have no other injuries that can make your recovery complicated. They can provide you with the necessary medications to help you during your time of need and they will refer you to a Sunnyvale emergency dentist to do the actual repair to your tooth. They are not trained to handle dental emergencies like a dentist is, but can help in other ways. If it has been a long time since your last visit to the dentist, do not worry. Just set up the appointment and let the dentist know you haven’t had care in a long time and they will take care of you in the best manner possible. Having your teeth cleaned twice a year allows the dentist to keep an eye on any issues that you may have and allows them to keep the plaque from building up on your teeth. When you are pregnant, your hormones change and your gums bleed more easily. If you have a dental problem while you are pregnant, let the dentist know and they can treat you in the safest manner possible. Always tell them that you are pregnant. A root canal is a treatment where the infected pulp is removed from inside the tooth. The tooth is carefully cleaned and sealed with a rubber-like material. A crown or filling is placed over the tooth to further protect it. There is some debate as to whether amalgam fillings are safe. The fillings are made up of metals that include a small amount of mercury. The FDA has deemed them safe but if you are concerned there are alternatives. Sunnyvale is known as “The Heart of Silicon Valley” and is a gorgeous place to live or vacation at. There are gorgeous gardens to view and parks to play at. There are numerous emergency dentists available to you should you require care during your stay. Gentle Dental has hours Monday through Friday until 5 pm and Tuesday they stay open later until 7 pm. Sunnyvale Dental Aesthetics offers appointments Monday through Friday from 8 am until 6 pm. Sunnyvale Dental Care has hours as late as 7 pm on Monday, Wednesday, and Thursday. They stay open until 6 pm on Tuesday and 5 pm on Friday. AZ Dental provides you after hour care by staying open until 7 pm Monday through Thursday. The office also has appointments available until 5 pm on Friday and Saturday. A dental emergency from an accident or injury requires a visit to your closest Sunnyvale emergency room, which offers 24-hour emergency care. This is especially true for any injury to the head, which might involve a concussion. The emergency room physicians are not able to handle things such as broken teeth or lost crowns, but they do help with providing necessary care for accidents and can give you required medication to ease pain and infection. 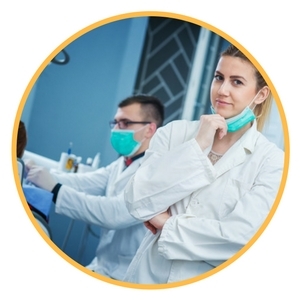 When you choose a Sunnyvale emergency dentist, it is always a smart idea to verify the dentist’s credentials with local, state, and city dental associations. The American Dental Association website is available to help you locate the credentials of dentists. You can find them here. You can also find information about California dentists and their credentials on the California Dental Association website.